A Barnsley recruitment agency has become one of the first in the country to gain a gold standard for the way it vets teachers and support staff before sending them in to schools. 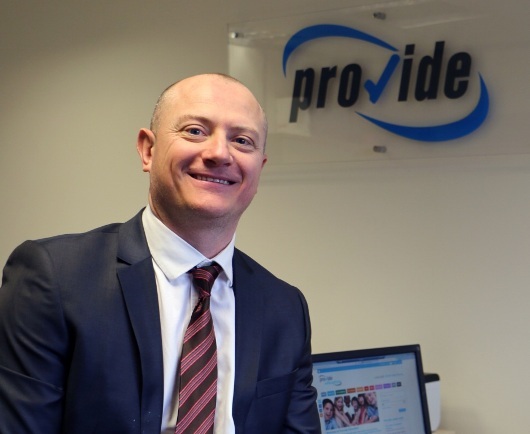 Provide Education has been awarded the highest national accreditation for safeguarding children by the professional body which regulates the UK’s recruitment industry, the Recruitment and Employment Confederation (REC). The company underwent a thorough inspection of its policies and procedures, spot-checks and interviews with agency staff to achieve gold standard status as an REC audited recruitment agency. Provide Education is one of only a handful of specialist education agencies in the country to have been awarded this standard. “We are delighted to receive the REC’s gold standard for education recruitment, which recognises our quality of service in general and our commitment to safeguarding children in particular. “Vetting is at the forefront of our daily working lives and crucial to the two-way service we provide, helping schools and children’s centres to fill positions quickly and safely and supporting teaching and non-teaching staff to find supply and permanent jobs that suit them perfectly. “We aim to connect schools with the right teacher at the right time and at the right cost – but our top priority will always be safeguarding children. Provide Education, based at Barugh Green, offers a professional 24-hour rapid response recruitment service to help more than 500 schools in West and South Yorkshire and the East Midlands fill supply jobs and permanent vacancies. It has more than 2,000 teachers, teaching assistants and nursery nurses on its books, as well as other non-teaching staff. The company was set up in 2007 by former teacher Barry and his co-director Katie Jones, an experienced recruitment consultant. The REC is the professional body for the recruitment industry committed to raising standards and highlighting excellence. The REC introduced a detailed audit for education agencies last year which focuses on safeguarding procedures. Agencies must prove they comply with and exceed all legal requirements for recruiting, vetting, supporting and managing teachers and non-teaching staff going to work with young people.